For an upcoming live performance of a couple of my Super Holly short stories (details coming! 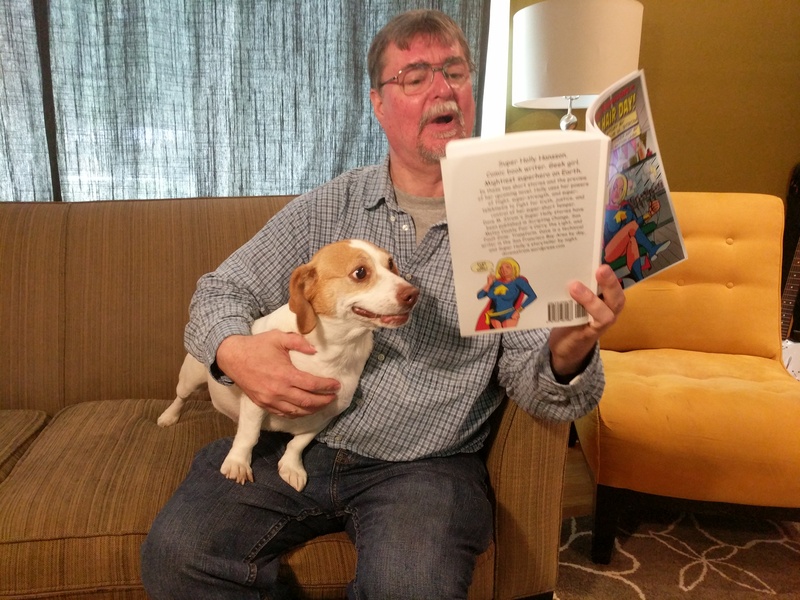 ), a fellow writer asked me to take more photos of me, the author, reading to one of my cousin’s dogs. Tucker, the black dog heading my website, was not cooperative (just wanted to lie down and rest his old bones), so I read to squirmy little Sweetpea. Sweetpea’s light coloring and expressive face made for some decent photos. Super Holly meets The 3 Geeks! 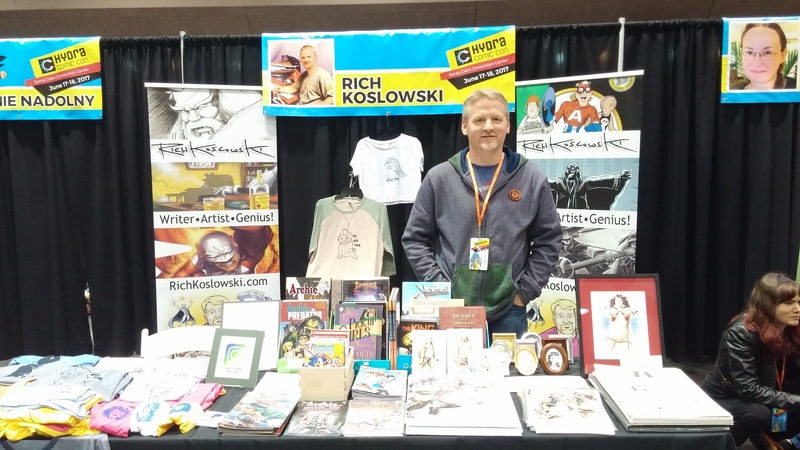 At Hydra Comic Con today, I asked Rich Koslowski (creator, artist, and writer of The 3 Geeks, best comic book about fanboys ever!) for a Super Holly Hansson sketch. He wrote the dialog for The 3 Geeks (perfectly written nose joke! ), and I wrote Holly’s thought balloon. BEST SUPER HOLLY SKETCH EVER!!! Check out Rich’s website for some great comics. Especially The 3 Geeks. Read Rich’s fave and mine, When The Hammer Falls. If you have read even one comic book in your life, your funnybone will be forever grateful. I was twelve when my dad bought our first color TV, thus making me take Adam West’s Batman TV show even more seriously. I took it straight. I was a smart kid, but I had little sense of campy. Fast forward to now, the day after Adam West passed, and a little light went out in the world. I still revel in the adventures and excitement of that show. But I now know that Adam West was the Buster Keaton of superhero actors. His voice was an orchestra of heroism and good, brave and bold, strong as steel, rich as Prolific Oven chocolate mocha cake, and brimming with deadpan humor. The straighter the face, the greater the camp. P.S. I perfectly understood the subversive humor of George of the Jungle, Superchicken, and Tom Slick. But those were cartoons. P.P.S. Super Holly Hansson would have loved to meet Adam West. She would have gone all fangirl and super-kissed him. Come see me this weekend and later at the San Mateo County Fair Literary Arts Stage. Saturday 6/10: 12-2pm I will sell books at the local author meet and greet. 2-3:30: I will be on the Carry the Light winner’s panel, and doing an open mic reading after that with other winners. Wednesday 6/14 7-9pm I intend to do the open mic. At 6:45, my friend Tina Gibson will be reading from her book, Misfit Island. Thursday 6/15: 7-9pm I will read from the story I submitted to this year’s Fault Zone anthology (currently title: What Goes Up). Saddest ending I have ever written for Super Holly. Saturday 6/17: 2:45-4:30pm I will sell books. When I personally sell my printed Super Bad Hair Day book, I include a CD with artwork, audio stories, and ebook copies of Super Bad Hair Day. And I sign it with a cool superheroic catchphrase. Only $5. Such a deal. 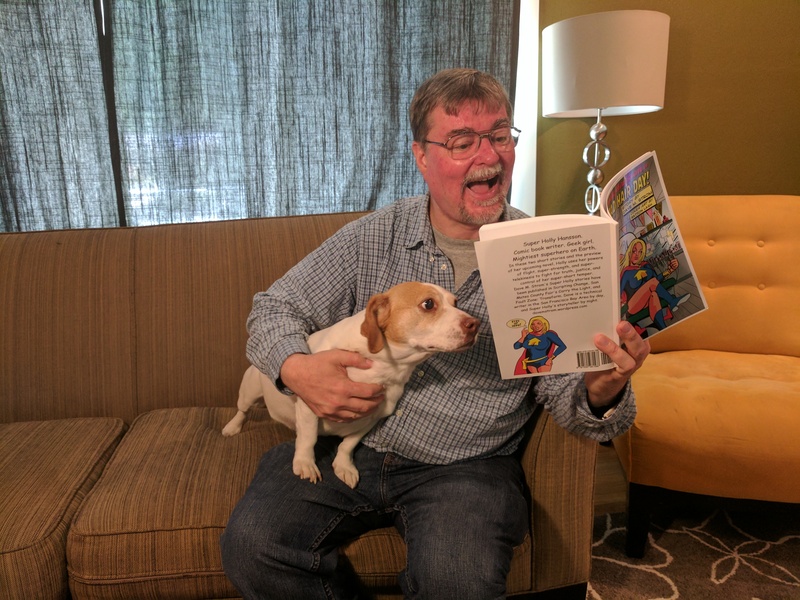 Wanna read local author stories? Buy Carry the Light at the fair or from Amazon. It contains my short story, The Lutefisk Door, and the transcript of my audio story, The Intellecta-Rhapsody (this was inspired by the classic music Hungarian Rhapsody as played by Woody Woodpecker. Whose side am I on, or Robin Hood vs. Trump! I wanted a teen girl villain who tries to be a Robin Hood type to contrast against Billington Stumpfinger (Donald Trump type), and who would show the differences between Holly and Bennie in what is right and wrong. I was drawing on Law & Order’s Lennie Briscoe for Bennie, and for the arrow girl, I was thinking of misguided and annoying liberal types (other than myself), afraid to think without an ideology and spout Errol Flynn movie lines mixed with old 1960s protest/hippie lingo. Maybe I was thinking of the couple of communists I met in college. One actually said that because capitalism must exploit the masses (how about proof of that? 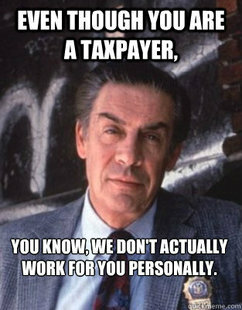 ), communism must be a better system (how’d you pole vault to that with no evidence?). Super Holly, at one point, does not want to stop the arrow girl from steading from Stumpy and giving to the poor, whereas Bennie wants to stop her from causing a riot. It is fun to take shots at both sides, and I figure Bennie, as a cop, would want more law and order and less political ideology. I wish I could talk to a few cops about this. I thought this would be a short post. This is why I do not tweet. 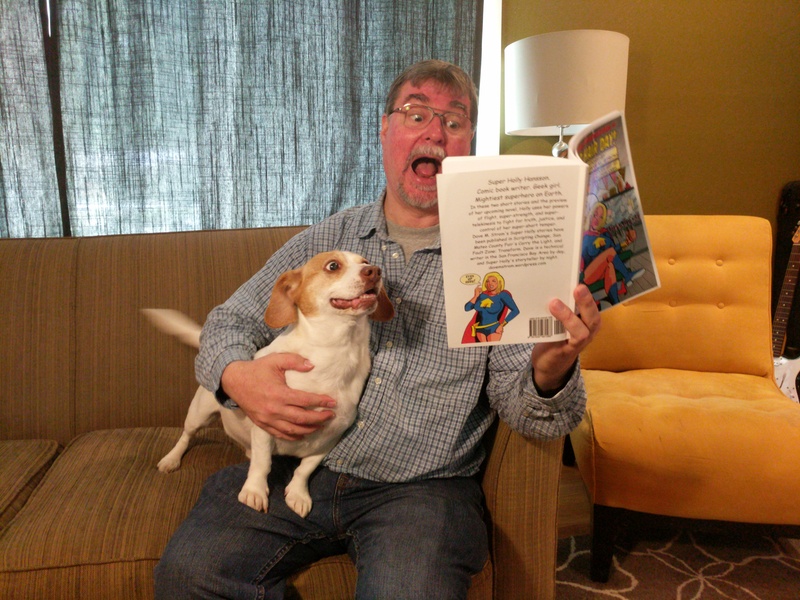 Several stories, including Super Bad Hair Day & The Poet and the Supersplainer! Latest Published Story: The Dimensional Dollar! 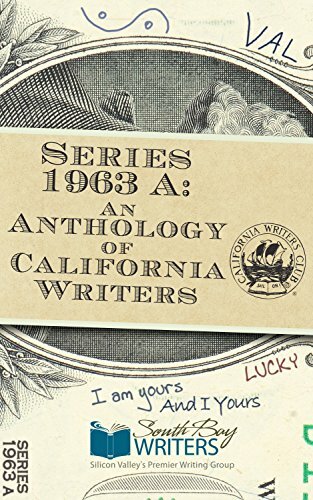 Series 1963 A, An Anthology of California Writers: The Dimensional Dollar! Captain Marvel and Super Holly: Let’s you and her fight! Cinequest 2019 – how actors do it! On Jan 24, I am an open mic headliner!